G3 iBook a Risk Due to Logic Board Problems? Can WallStreet Boot into OS X from a SCSI CD Drive? 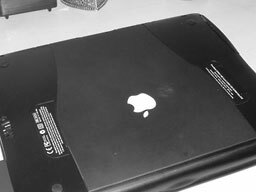 I was in the market for a replacement for my beloved iBook SE 366 Graphite, which has seen better days. I had to stick with G3, as I didn't want to replace my AirPort base station or cards in my laptop or desktop. I figured I had to stay with iBooks, so I started watching a bunch of them (Snow) on eBay and bid on a few. Most were going for well over $500, and I became increasingly concerned about laying out that much money for a computer that may die on me any day (the logic board fiasco). I just didn't want to spend that much, either. I always do my Mac research at Low End Mac for specs and such. I came across your recent Pismo article (the one you got for your mom), and it opened up a whole new world. I had never considered a PowerBook, especially as the newest G3 would be as old as my current iBook, and I thought for sure they'd be out of my lowly price range anyway. Glad you found my scribblings helpful. While any used computer is a bit of a roll of the dice, the Pismo is as good a bet as you'll find, and that one looks like a honey. Six hundred bucks is a bit steep for a used Pismo these days, but if the description of its condition is accurate, and with the maxed out RAM, wireless, combo drive, and case, I would say that it represents good value. I still love mine, which I've had since October, 2001, and which is still giving me great service. When I compared it with the risky-logic-board iBooks going for close to the same amount ($500-$550), this one looked like a prize. If I'm going G3, I want something I can count on. The only thing that concerns me is that infernal yo-yo. I'm on my fifth one in six years. As a fellow journalist, I know how sometimes it feels like you're just talking to no one . . . so I always make a point of complimenting a writer's work when I get something out of it. I will let you know how this baby rides when I get her. In the meantime, thanks again! I think you definitely made the right decision. My Pismo has a 550 MHz G4 upgrade, which I also recommend, but the 500 MHz G3 was a tolerable performer in OS X 10.3 Panther. The yo-yo adapter was not one of Apple's better ideas. Maybe it would be worth trying a third-party replacement, such as the ones from Madsonline. She's a beauty. Absolutely pristine, looks brand new. My only complaint is that the screen is a little wobbly. And the computer heats up pretty fast. But other than that, so far, so good! Running OS X 10.3.9 now, having no problems at all. Thanks again for your wonderful advice . . . I'm a happy camper! The wobbly screen might indicate that the hinge clutches are getting knackered. As a precaution, try to remember to open the lid from a central point rather than off-center. I'm a bit concerned about the heat. My Pismo has never run especially hot, except for after installing Tiger, and Daystar's copper-backed processor heat-sink seems to have cured that. The fan has never come on since I installed it. A side note: After three days, the "perfect" computer quite literally went up in smoke. The hard drive (or something in there) burned a hole straight through bottom of the case, and the machine died an undignified death, bellowing smoke like a chimney. I woke it up, and within about 15 minutes the screen went black and the computer died. I tried several times to restart it with no luck. I smelled something bad and turned it over . . . there was a melted, buckling spot on the bottom which was actually smoking. The fan had been going on constantly. Whenever I felt the bottom of the machine, it was crazy hot. Very different from my clamshell iBook, which you can happily leave running on the bed for 12 hours if you want. This one I had to use strictly on a table because it ran so hot. I was honestly afraid it was going to go up in flames. There was smoke rising from the blistered spot on the bottom of the case even after the computer was off for a few minutes. Oh dear. :-( My condolences. This is not typical Pismo behavior; indeed I can't recall ever hearing of an incident like this with one before. As I said in earlier correspondence, "any used computer is a bit of a roll of the dice," and this time it looks like you rolled snake eyes. And as I noted in my last missive, I was concerned about the heat you mentioned. Any hope of getting a return/refund from the seller? He had me send it back to him today and promises a fully repaired computer. He thinks it has something to do with a circuit board, but he won't know until he takes it apart. You should have seen it. Burned straight through, and I just sat there like a right pillock, watching it smoke. I was waiting for it to burst into flames. Laurie will be keeping us posted. Just some random worry thoughts that with the coming of all Intel Macs, that the days of Apple Macs being virus and worm free will be coming to an end. The thought of possible dual boot option allowing Windows will surely bring this to and end. If Windows is kept penned in a kind of virtual space, then there can be some sort of last layer protection. If Windows is not being kept penned and if people start running Windows instead of OS X, then the end has come for OS X. If software developers chose only to develop for Intel Macs and not do universal binaries, the millions of useful G3, G4, and G5 machines will be orphaned. Microsoft will win anyway. At that point Apple will have no leverage at all, and Apple computing as we have come to know it all these years will disappear, and the whole evolution will have been for nothing. I think perhaps you worry overmuch. Unless Mac OS market share really takes off, I don't anticipate any major malware onslaught. As I understand it, there is no technical obstacle preventing the development of malware for Mac OS X PPC, but nobody has bothered because of the Mac's low market penetration. I also don't anticipate a big stampede to install Windows on x86 Macs. The Mac OS is so vastly superior to Windows in so many ways, I see the only substantial demand for Windows on Macintel coming from people who have to use Windows for work-related software compatibility reasons, and the facility to do that on a Mac with dual-booting should be something favorable to Mac sales rather than vice-versa. My 15" aluminium PowerBook G4 is still giving me fine service and has functioned as a replacement for my G5 iMac (which I bought about a month prior to the release of the new iSight versions) while it is in for repair - a known problem with faulty power supplies. If I'd known the new Intel iMacs were just around the corner, I might have waited. After all, it doesn't matter whether it's 68030, PowerPC, or Intel inside - it still runs the Mac OS, which in my opinion is what makes it a Macintosh. I like to replace my computers after 3-4 years, and my iMac G4 (17" Flat Panel) was getting a bit long in the tooth for all the Photoshoppery and music I make with "Reason". I predict that my PowerBook will hold out until 4 years are up (two to go), by which time there will be enough universal/Intel versions of my favourite applications that compatibility shouldn't be an issue. That said, I still use a PowerBook 3400C and Power Macintosh 8600 for video capture, music, and lightweight tasks (the 3400 is an excellent Road Warrior companion, especially with a wireless LAN card) and was a little upset that Microsoft have/are about to stop offering Internet Explorer as a download for older/unsupported Macs. It's a good job I have a copy of IE 5 for Mac OS 9 archived on a Zip disc! I like to own and use the very latest pieces of kit, but I also enjoy getting the most performance out of older equipment where possible, mostly for the challenge. I still read ebooks on my Newton 120 and eMate, and I recently made a record on my Atari computers, just to prove it still could be done. I recently gave a renovated Power Mac 6100 to a total computer-phobe, and within a few minutes of her first instructions in computing, she was making letter-headed templates and printing them on the LaserWriter I had given her. She was overjoyed, partly because she had no idea how simple it could be. Try that on a 12-year-old Windows PC, and I'm sure anyone would struggle. She's already saving up for an iMac, an iPod, and a colour printer. It's nice to be able to extend the "Low End Mac" philosophy to new people, and I'm a firm believer in using computers for their relative strengths even when measured against what we consider the "bleeding edge". I still record drum tracks to songs using a Commodore 64; I think the SID analogue synthesizer chip in that machine is one of the most powerful pieces of music equipment ever created, and there's a reason why companies are selling PCI sound cards - and even entire synthesizers - utilising the original SID hardware pulled from old C64 units. A side note of possible interest - I'm an engineer at a major UK university, and I predominantly support the Wintel platform. I recently got a new cellphone which is an integrated Windows Mobile 5.0 PDA as well (It's sold by the O2 network as the "O2 XDA Mini S", but it is made by HTC corporation and is also known as the HTC Wizard). It has a built-in slide-out keyboard, which is wonderful for me, because I get a large number of text messages as part of my airtime agreement. As an experiment, I paired my new phone with my Apple Bluetooth keyboard. At first, the phone asked me to supply a passkey, which I gave it, and was dubious, because in the past my Mac has given me a passcode which I must input at the Bluetooth keyboard. But I was pleasantly surprised that I could simply enter the same passcode using the Apple keyboard and press Return, and the two devices paired up straight away. I was asked if I wanted to use the "input device profile" supplied by the keyboard, to which I said yes - and the two devices worked together immediately! I can use my Apple Bluetooth Keyboard with my new cellphone!! I've rambled too much, sorry! I just wanted to share some of my thoughts, and you seemed like the right person to send them to at the time!! Thanks for the entertaining ramble. Good on you for still getting useful service out of all those great old Macs, and I hope the migraine subsides. My guess is that it will be just "MacBook" for the iBook replacement. I'm getting used to the idea, and in fact I prefer MacBook to iBook, although I lament the passing of the PowerBook nameplate. I expect that your G4 PowerBook will serve you satisfactorily for another couple of years. Hoping you could give your opinion on something, since you have a G3 iBook yourself. I am aware of the faulty logic board on G3 iBooks. 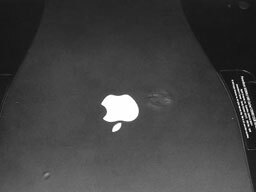 Just searching the Internet, I'm hearing many cases where people had to send back their iBooks 2, 3, or 4 times for this same repair. Some have even been given new computers because it's happened so often. I have even heard some cases of logic board failures in early G4 iBooks. Not sure if it's the same specific issue though. When your iBook's logic board is replaced by Apple, is the problem actually solved on the new board, or do they just give you another logic board of the same faulty design. Meaning it will go out again eventually? Has your iBook experienced any problems yet? So is it safe to buy one? Should I get an older G4 instead. Or am I just hearing the worse case scenarios? The iBook logic board issue is shrouded in deep, dark mystery. Indeed, I've had readers tell me they've gone through up to four logic board replacements. OTOH, my 700 MHz iBook has given me 37 months of virtually flawless service with no sign of any trouble so far. I figure it owes me nothing now. That said, I would encourage you to go G4 rather than G3. Recently logic board issues have been cropping up with G4 models, but my perception so far is that it's less of a problem than with the G3s. 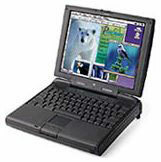 Another alternative to consider is an early 12" PowerBook, a machine that has proved generally reliable, with 867 MHz and 1 GHz models now selling for around US$700. Re: G3 iBook a Risk Due to Logic Board Problems? Thanks for the advice, Charles. I think I still might chance it with a G3. I prefer the look of the G3 over the G4's plain styling. I guess if I start to have problems, I can always go for an Intel iBook when they come out. Oh, one more thing: Do these logic board issues render your computer totally useless? Can you lose all your data. Or are there issues like scrambled video just making your display useless? If it's just the display, then technically you could plug your computer into an external monitor and use it that way right? If the G3 has enough power to satisfy you, go for it. It's a lot cheaper. Note however, that the late-model G3 iBooks had the "Opaque White" cases as well (mine does). It the logic board failure is the common video-related one, you should be able to connect to another Mac or backup media device and salvage your files, but circumstances probably vary. Thanks a lot for all your help, appreciate your time. Okay, last question and I'll be out of your hair. Is there any chance there might be some new G3 iBooks leftover somewhere? Any suggestions on where I might look. I've seen some new WallStreet and Lombard PowerBooks on eBay from time to time, but that's it. I've tried searching the Web with no luck. No apology necessary. Answering questions, if I can, is what this column is about. There are tons of refurbished G3 iBooks available (ExperCom.com seems to have the widest selection, and Wegener Media has a bunch as well), but I would be extremely doubtful of there being any new ones left., although if there are, eBay is the likeliest place they would turn up. I have a WallStreet G3/300 that has been abused. At some point it must have been reassembled incorrectly, because the CD drive module will not go into the bay (also the top CardBus slot won't hold a card in place). Everything else works, but I would like to be able to boot from the Mac OS X Install CD in order to run Disk Utility (I'm using 10.3.9 via XPostFacto). I don't know much about SCSI - I assume an external SCSI CD drive would boot OS 9, but would it boot into OS X that way, too? I can't give you a definitive answer. I've never been able to get my WallStreet to boot from an OS X install CD from its internal drive. I did try an external one with the same result, but that's not conclusive. The best course is probably to give it a try. An external SCSI drive will certainly boot OS 9, and SCSI works well once you get a stable hookup. However, you would not be able to boot a WallStreet from a Mac OS X system installed on an external drive. With OS X on "Old World" ROM Macs, the boot system has to be installed at the top of the internal drive, on a volume of less than 8 GB. After reading about the price drop ($200) on the last 20" G5 iMacs, I just had to check the Apple website for refurbs on 20" iMac models. The refurbs are still listed with the same $200 price drop (so new savings there), however, the last 20" iMac before the built-in iSight are listed at only $1,299. To me this is the best deal in town (unless you need Front Row and the built in iSight), and you also get Apple's built-in modem (from reviews I have read, the new external modem has issues). Those refurb deals from Apple are becoming more attractive all the time, and I don't think the price erosion is over yet by a long shot, especially for laptops. You really can't go wrong with the present prices.